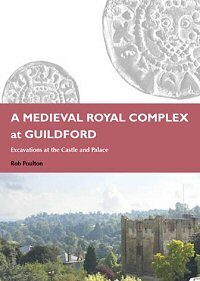 The publication is a detailed report on the 1990-1994 excavations at the medieval royal castle and palace at Guildford, Surrey. The work was carried out by volunteers under the direction of Rob Poulton and staff from the Surrey County Archaeological Unit. The report includes an account of all archaeological work at the castle from 1887 to 2000 and a summary of its extensive documentary history. The files included within the digital archive consist of tables numbers 2 to 59 referenced within the text of the paper publication. These tables include a full context listing for the site plus pottery, small finds and animal bone catalogues from the excavations. The paper report can be purchased from the Surrey Archaeological Society.